This afternoon we went shopping at the Korean mart nearby in Rhodes. I decided to get some bath supplies since mine at home was finishing. 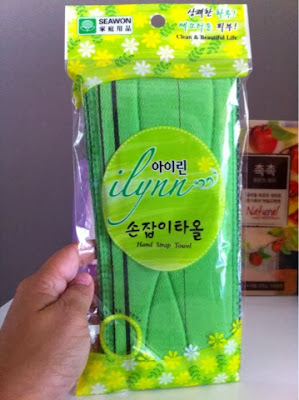 First stop was the body shower supplies. 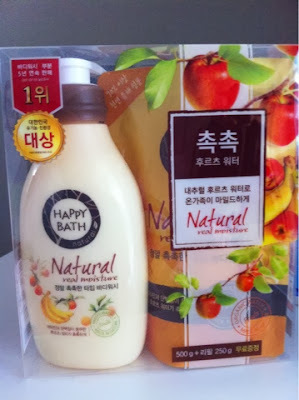 I bought the Happy Bath - Natural (real moisture) body shower set that comes with a refill. According to Jo, this pack was among the top bath showers for the last five years under the same management, Amore Pacific, which manages skincare cosmetic brands like Laneige, and Sulwhasoo. 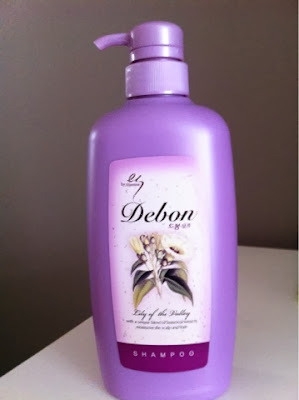 Next was Debon lavender hair shampoo under Elastin. 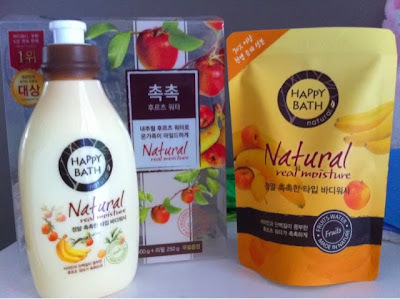 This range of shampoos is manufactured by the Household and Healthcare side of LG. Yes, LG also has manufactures skincare and healthcare products aside from your usual LG phones that are in the media. This bottle of Debon lavendar shampoo retails for Aud4.90. 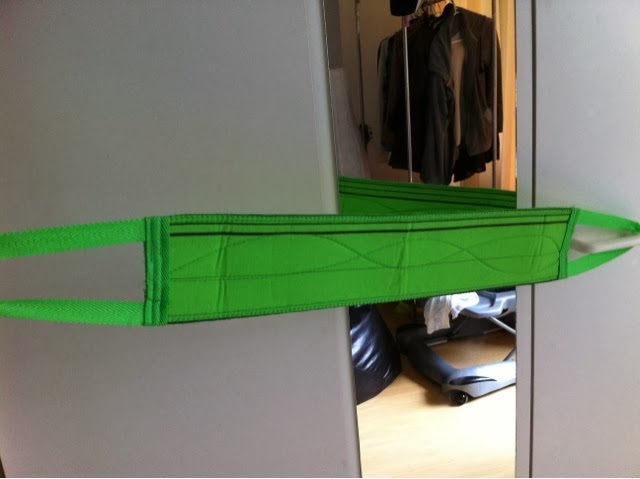 You open it to reveal a towel with straps to hold on both sides to use during your shower time. Total price for today's purchase is Aud17.70. 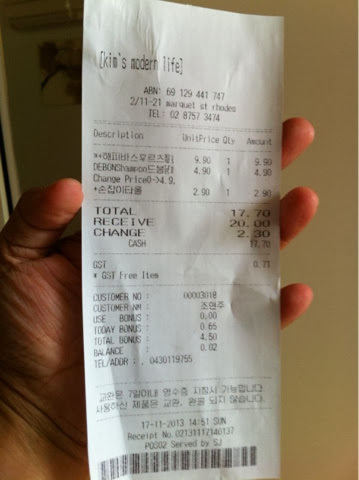 If you are wondering why my friend's name is there, that's because most Korean marts practise the member point system, and I just used her member card to accumulate points. Hence my friend was credited 0.65 points into her account today from my purchase today. How much it is in real money value I haven't the slightest idea though. So how many of the above Korean products have you tried before? 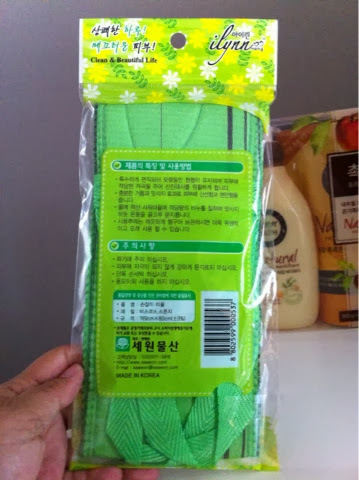 May i know where can i buy that Elastine Debon shampoo?